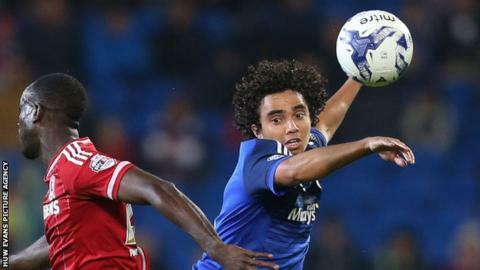 Cardiff City's Fabio has been ruled out for at least a month with a foot injury after the 0-0 draw at Ipswich. The 25-year-old Brazil international full-back was injured in the 31st minute at Portman Road and replaced by Scott Malone. A scan has revealed ligament damage which will keep him out of the team for four to six weeks. Fabio has played 12 times this season in a defence which has managed four consecutive clean sheets. Cardiff are ninth in the Championship, and face Leeds United at Elland Road on Tuesday.